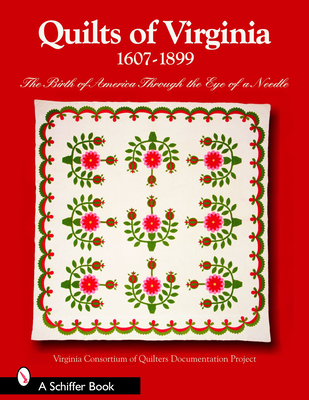 This new book anticipates Virginia's 400th anniversary in 2007 by presenting over 270 beautiful historic quilts and ephemera in over 430 color and vintage photographs. From quilted armor of the 17th century to crazy quilts of the 19th century, these personal family and museum treasures include homespun work of slaves and fancy work of freed women and First Ladies. The eight Virginia-born U.S. presidents are each represented here, with work from George Washington's great great grandmother to quilting by Mrs. Woodrow Wilson. The contents derive from the study of more than 3,000 quilts statewide that were meticulously examined by the Virginia Consortium of Quilters' Documentation Project. This book is an important contribution to quilting history and Virginia heritage, and will be inspirational today for enthusiastic sewers everywhere.